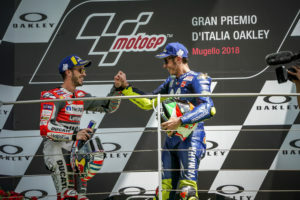 MotoGP at Mugello is always an entertaining and emotional event, and this year around was no exception, with the winner a very, very big surprise to all! First off, it’s always great when a rider under pressure (no matter who it is), surprises everyone and smashes the field. Fair play to Jorge Lorenzo, nobody saw that coming, did they? It was the Jorge of old, beasting the field into submission with relentless pace until they could no longer stick with him – well done! But now you need to back it up again, so the pressure is back on! 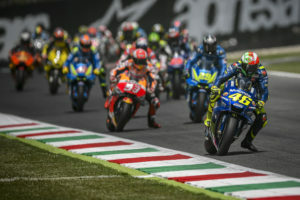 Another well done to Rossi this time – when was the last time he was on the podium at Mugello? 2015! Some smart riding won him that spot, one more lap and it would have been a second but it was great for all the 46 fans who rammed the place – he was up there on merit, rather than because the crowd demanded an appearance, but he now sits in second place in the series, 21 points behind Marquez – could it be game on? Now, it is a shame Lorenzo’s win is somewhat marred by the fact he may not be staying with the factory, although they won’t miss having to pay his wages no doubt. 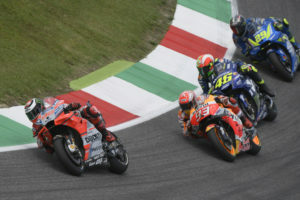 Current blurb puts him on a satellite Yamaha with Petronas backing – and you can bet if he is, Yamaha will want to give him bang up to date kit, it could even be a requirement from Lorenzo. This being said, no ink is dry anywhere as yet, he and Ducati could have a nice warm cuddle and make up – stranger things have happened! While Marquez had a horrid Mugello losing a stack of points in the process, smart money is still bang on him for the title. What is a real pity is the level fan hatred has risen to – someone had mocked up a grave for him, reading his ‘end date’ as the day of the race. This is really going too far, but worse still were fans booing Marc while poor old Pirro was still being scraped out of the gravel track after that hideous accident of his. It’s all steps way too far in our opinion, taking bike racing firmly in the wrong direction, at least we don’t get any of that crap in WSB or BSB! The next round is Catalunya – can Lorenzo win there too? 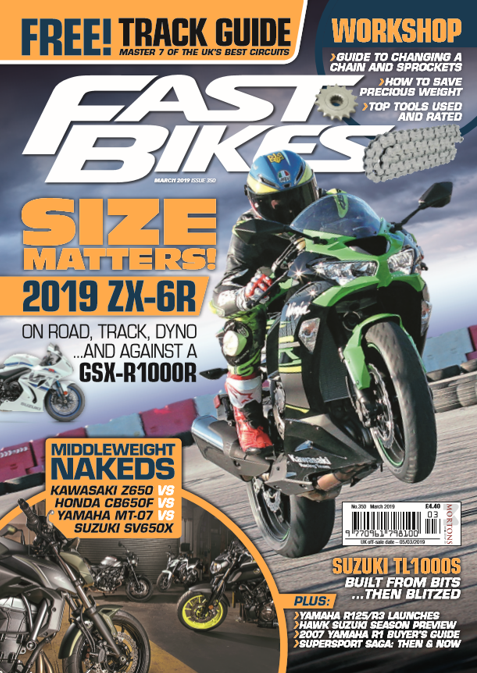 Previous Post:Sportsbike Of The Year 2018 – Out Now! Next Post:Watch – Sportsbike Of The Year 2018 – Honda Fireblade SP – Dyno Run!